Many may argue that Theatreland is the ultimate place for suspending belief amongst other audience members also preferring the stage to reality. Over the years, stages have been inundated with reality TV stars and celebrities eager to step into the dancing shoes of their predecessors, potentially forcing out home-grown talent whose skill would cause their success rather than vice versa. Many stars have graced the stages of London’s West End and Broadway. Audiences have seen Whoopi Goldberg’s divine descent, jazz shoes and all, into the comedy musical Sister Act as Mother Superior, which she helped produce. With Sister Act already a blockbusting hit, it is easy to see how the legendary Goldberg aided the production rather than carried it. Others who have wowed audiences are Sheridan Smith in Legally Blonde, and Tamzin Outhwaite and her feisty fishnet tights in Sweet Charity. 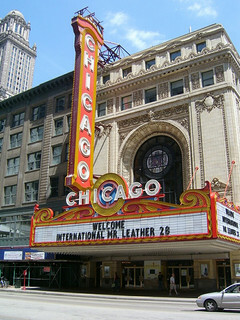 In particular, Chicago has seen many celebrities take on the character shoes of lead roles, such as Ashlee Simpson, Jennifer Ellison, along with David Hasselhoff and John Barrowman. Audiences are almost guaranteed when Hollywood actors are billed, with a huge hype being produced – but can these invasions continue to sweep audiences along? It is commonplace for audiences to book tickets as a result of the cast, to then be disappointed when certain members are absent. Even if the magic atmosphere of theatre is still created, they may never return. The same could be said for some of the stars of reality TV and where are they now – it is an automatic presumption that this is because they are simply the favourites of the home viewers, rather than the casting director. It is therefore difficult to comprehend the slog that has gone into an actor’s early life before they are finally pipped to the post by a celebrity or TV show shortcut winner, worthy or otherwise.